The opening session of this year’s Military History Colloquium addresses the impact of technology on our classrooms and wider work as historians, with specific emphasis on the increasing importance of the ‘Digital Humanities’. As teachers, researchers, and public educators, historians can take a leading role in incorporating digital content in to the practice and pedagogy of history as a discipline. If we consider the mobilization, transfer, and dissemination of knowledge to be our raison d’être, then certainly it is arguable that the digital world should play a fundamental role in shaping our profession in the years to come. The session, held on Thursday May 3rd at 7 p.m. in the Kingsmill Common Room, has been deliberately constructed as a hybrid between a traditional conference panel and a scholarly open-forum. We will begin with three focused presentations that will highlight the diverse ways that we can use aspects of the digital humanities to promote our field and cultivate student and public interest. The second component, an open-forum discussion, will allow attendees to voice their own comments, concerns, and suggestions over how the digital age has affected their own professional lives. Below you will find drafts of each presentation from our three panelists to help you hone your questions and discussion points. 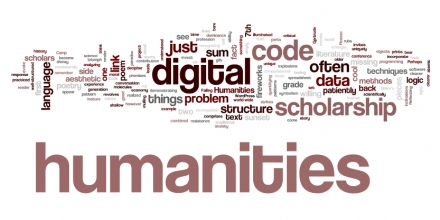 Additional discussion questions on a variety of topics related to the digital humanities and its potential impact on Military History/War and Society are also listed for your consideration. The conference committee is eagerly looking forward to hearing your insights, experiences, and suggestions on how we as a body of scholars and educators can move forward in the digital age. See you in London! How can teachers and university professors utilize social media platforms like Facebook, Twitter, or blogs to communicate better with students? Likewise, how can assignments be tailored to incorporate social media (i.e. historical blogging, data mining social media, finding historical resources through Twitter, Academia.edu, and other social networks). What are the pros and cons of ‘historical blogging’? How can we employ visual media, including data visualizations, applications like Google Earth, and online services like YouTube as teaching tools in the classroom? Can web-based visual/interactive content improve learning outcomes in classroom exercises, discussions, and assignments? How can we use online exhibits and archival collections to expose students to primary resources? Do online exhibits provide a useful tool for studying the construction of historical memory? Could students benefit from assignments that ask them to academically critique online museum exhibits? How do we use these resources to teach students the differences and similarities between traditional academic history and ‘public history’? Do students actively use library resources that are available online? In what ways can we better inform them about collections of primary materials or databases of scholarly publications? How have online books altered the ways in which students are reading, disseminating, and expressing the information contained in them? In what ways can online reviews – both academic and popular – aid in improving a student’s understanding of complex pieces of scholarship? Do students recognize the difference between Google Scholar and academic databases? Does the availability of online content ultimately contribute to a better learning and teaching environment? Is it required to cater to different learning styles? How can professors use their own personal websites, or an organizations website (like LCMSDS!) to serve as a resource for their students to turn to when platforms like Avenue to Learn, My Learning Space, WebCT etc. are inadequate? Does the availability of discussion questions, supplementary online material, and links to other resources – both within and outside of the aforementioned learning platforms – aid in classroom participation?